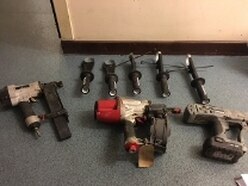 More than 30 power tools, believed to have been stolen, were left abandoned on a rural Shropshire road. The tools were found on Wednesday evening by a member of the public on Cycle Route 45, which is between Broseley and Bridgnorth. The tools located included more than 20 Makita Power Drills, four Max CN650 nail guns, a SPIT C60 Spitfire Nail gun and a pair of SENCO Li Lon nail guns. Some of the tools were in cases. 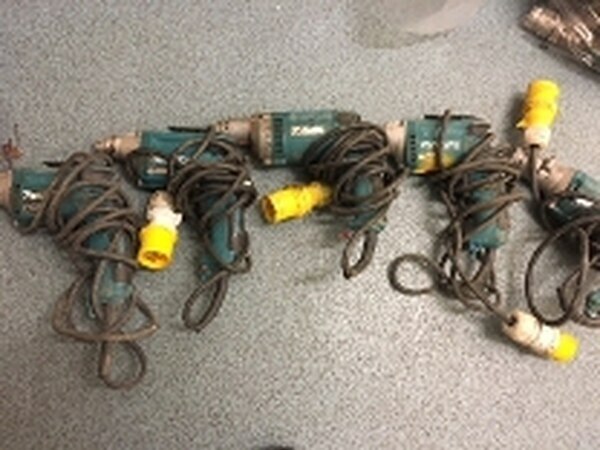 In a statement, Bridgnorth safer neighbourhood team said: "We are aware that there have been a number of thefts of power tools in the local area recently and given the circumstances that these tools were found it, it is probable that they are stolen. "The reason for them being dumped is not known. "If you were in the area and saw anything that you believe may be linked to this matter please get in touch." Anybody with information can call police on 101, citing reference number 0530S 110418.